Check Out What is New in Challenge for 2018-19! 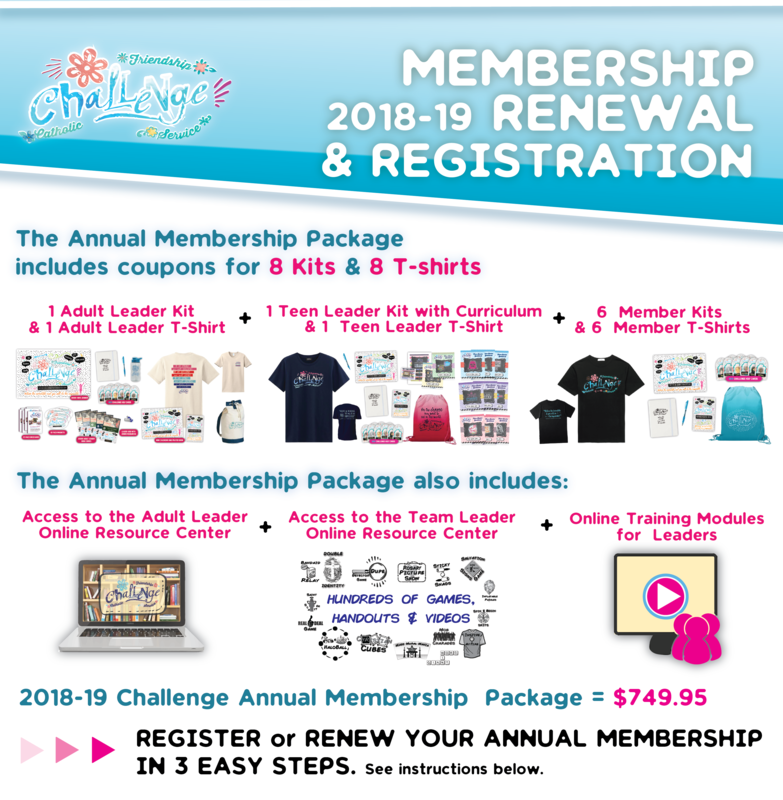 Download the 2018-19 Challenge Info Flyer here. STEP 1: CREATE ACCOUNT / LOGIN - You must create an account and login in order to view and complete the online registration forms below. STEP 2: COMPLETE ONLINE REGISTRATION BELOW - Complete all the form fields below. The fields listed with a red asterisk (*) are required. Hit the "SUBMIT" button when complete. STEP 3: CHECKOUT AND PAY ANNUAL MEMBERSHIP FEE ONLINE - You must complete checkout and pay the annual membership fee online. You will receive an email within 2-3business days confirming your annual membership. When the online store officially opens in mid-July, you will receive your coupon codes via email for your free materials kits that come with the annual membership package. Orders placed on the online store then will ship within 2-3 days. If you have any questions, please contact [email protected] or call (855) 556-6872.